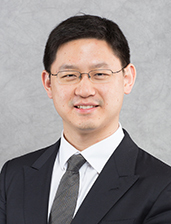 Dr Jason Pui Yin Cheung joined the Department of Orthopaedics and Traumatology as a Clinical Assistant Professor in November 2012 and promoted to Clinical Associate Professor with early tenure in 2018. After obtaining his MBBS degree from The University of Hong Kong in 2007, Dr Cheung received his training in Orthopaedics at Queen Mary Hospital. He completed his membership examination in 2009 and obtained his Masters of Medical Sciences degree from The University of Hong Kong in 2012. He completed his specialist training in 2014. He obtained his Master of Surgery in 2017 and Postgraduate Diploma in Molecular and Diagnostic Pathology in 2018. His main research interests are paediatric growth and spinal deformity, developmental lumbar spinal stenosis, management of cervical myelopathy and orthopaedic infections. Cheung JPY, Yiu K, Kwan K, Cheung KMC. Mean 6-year follow-up of magnetically controlled growing rod patients with early onset scoliosis : A glimpse of what happens to graduates. Neurosurgery. 2018. Doi : 10.1093/neuros/nyy270. Wang SQ, Wang ZH, Shen YY, Zhao XY, Cheung JPY, Luk KDK, Hu Y. Skeletal maturity recognition using a fully automated system with convolutional neural networks. IEEE Access. 2018 ;6 :.29979-29993 Doi : 10.1109/ACCESS.2018.2843392. Cheung JPY, Cheung PW, Samartzis D, Luk KD. Curve progression in adolescent idiopathic scoliosis does not match skeletal growth. Clinical Orthopaedics and Related Research. 2018 ;476(2) : 429-436. Cheung JPY, Samartzis D, Yeung K, To M, Luk KD, Cheung KM. A randomized double-blinded clinical trial to evaluate the safety and efficacy of a novel super-elastic nickel-titanium spinal rod in adolescent idiopathic scoliosis – 5 year follow-up. European Spine Journal. 2018 ;27(2) : 327-339. Doi :10.1007/s00586-017-5245-x. Cheung JPY, Yiu KKL, Samartzis D, Kwan K, Tan BB, Cheung KM. Rod lengthening with the magnetically controlled growing rod : factors influencing rod slippage and reduced gains during distractions. Spine. 2018 ;43(7) :E399-E405. doi :10.1097/BRS.0000000000002358. Wong CK, Cheung PW, Samartzis D, Luk KD, Cheung KM, Lam CL, Cheung JPY. Mapping the SRS-22r questionnaire onto the EQ-5D-5L utility score in patients with adolescent idiopathic scoliosis. PLoS One. 2017 ;12(4) :e0175847. Shigematsu H, Cheung JPY, Bruzzone M, Matsumori, H, Mak KC, Samartzis D, Luk KDK. Preventing fusion mass shift avoids postoperative distal curve adding-on in adolescent idiopathic scoliosis. Clinical Orthopaedics and Related Research. 2017 ;475(5) :1448-1460. Cheung JPY, Cheung PW, Samartzis D, Cheung KM, Luk KD. The use of the distal radius and ulna classification for the prediction of growth : peak growth spurt and growth cessation. Bone Joint J. 2016 ;98-B(12) :1689-1696. Cheung PW, Wong CK, Samartzis D, Luk KD, Lam CLK, Cheung KMC, Cheung JPY. Psychometric validation of EuroQoL 5-Dimension 5-Level (EQ-5D-5L) in Chinese patients with Adolescent Idiopathic Scoliosis. Scoliosis and Spinal Disorders. 2016 ;11 :19. 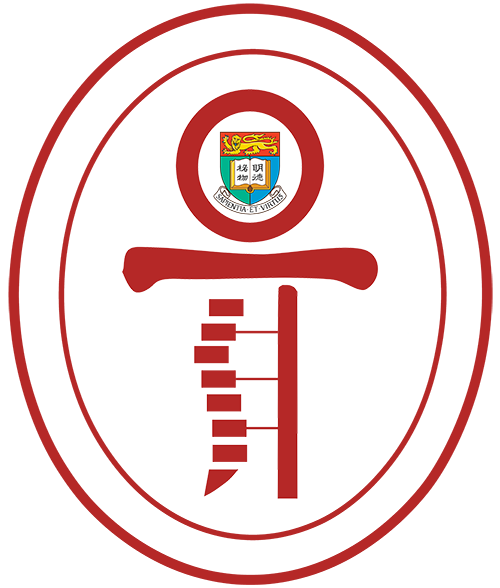 Doi : 10.1186/s13013-016-0083-x. Cheung JPY, Cahill P, Yaszay B, Akbarnia BA, Cheung KM. Special article : Update on the magnetically controlled growing rod : tips and pitfalls. Journal of Orthopaedic Surgery. 2015 ;23(3) :383-390. Cheung JPY, Bow C, Samartzis D, Ganal-Antonio AK, Cheung KMC. Clinical utility of ultrasound to prospectively monitor distraction of magnetically controlled growing rods. The Spine Journal. 2016 ;16(2) :204-209. Cheung JPY, Samartzis D, Cheung PWH, Leung KH, Cheung KMC, Luk KDK. The distal radius and ulna classification in assessing skeletal maturity : a simplified scheme and reliability analysis. J Pediatr Orthop B. 2015 ;24(6) :546-51. Cheung KMC, Cheung JPY, Samartzis D, Mak KC, Wong YW, Cheung WY, Akbarnia BA, Luk KDK. Magnetically controlled growing rods for severe spinal curvature in young children : a prospective case series. Lancet. 2012 May 26 ;379(9830) :1967-74. doi: 10.1016/S0140-6736(12)60112-3. Epub 2012 Apr 19. Cheung JPY, Kao PYP, Sham P, Cheah K, Chan D, Cheung KM, Samartzis D. Etiology of developmental spinal stenosis : a genome-wide association study. Journal of Orthopaedic Research. 2018 . 36(4) :1262-1268.doi :10.1002/jor.23746. Tomkins-Lane CC, Melloh M, Lurie J, Smuck M, Battie M, Freeman B, Samartzis D, Hu R, Barz T, Stuber K, Schneider M, Haig A, Schizas C, Cheung JPY, Mannion A, Staub L, Comer C, Macedo L, Ahn S, Takahashi K, Sandella D. ISSLS prize : Consensus on the clinical diagnosis of Lumbar spinal stenosis : Results of an international Delphi study. Spine. 2016 ;41(15) :1239-46. Cheung JPY, Samartzis D, Shigematsu H, Cheung KMC. Defining clinically relevant values for developmental spinal stenosis : A Large-scale Magnetic Resonance Imaging Study. Spine. 2014 ;39(13) :1067-1076. Cheung JPY, Shigematsu H, Cheung KMC. Verification of measurements of lumbar spinal dimensions in T1- and T2-weighted magnetic resonance imaging sequences. The Spine Journal. 2014 ;14(8) :1476-1483. Pii : S1529-9430(13)01502-7. Doi :10.1016/j.spinee.2013.08.054. Cheung JPY, Cheung PWH, Law K, Borse V, Lau YM, Mak LF, Cheng A, Samartzis D, Cheung KMC. Postoperative rigid cervical collar leads to less axial neck pain in the early stage after open-door laminoplasty – A single-blinded randomized controlled trial. Neurosurgery. 2018. Doi : 10.1093/neuros/nyy369. Cheung JPY, Cheung PWH, Cheung AYL, Lui D, Cheung KMC. Comparable clinical and radiological outcomes between skipped-level and all-level plating for open-door laminoplasty. European Spine Journal. 2018 ;27(6) : 1365-1374. Doi : 10.1007/s00586-018-5530-0. Shigematsu H, Cheung JPY, Mak KC, Bruzzone M, Luk KD. Cervical spinal canal stenosis first presenting after spinal cord injury due to minor trauma : An insight into the value of preventive decompression. J Orthop Sci. 2016. pii :S0949-2658(16)30176-2. Cheung JPY, Wei WI, Luk KDK. Cervical spine complications after treatment for nasopharyngeal carcinoma. Eur Spine J 2013 ;22(3) :584-592. doi: 10.1007/s00586-012-2600-9. Epub 2012 Dec 1.